FIMOP and Belgitrans are merging on 1 January 2017 to become InduMotion. The merger of both associations was confirmed during the annual members' day of Belgitrans and FIMOP in Kasteel Gravenhof in Dworp. InduMotion has hereby created a strong network of more than 80 companies from the world of drive technology and industrial automation. The first discussions between Belgitrans and FIMOP date back to 2012 and the idea of a merger grew slowly based on these contacts. FIMOP (in full: vereniging van Fabrikanten en Invoerders van Materiaal voor industriële Oleohydraulica, Pneumatica en automatisering / association des Fabricants et Importateurs de Matériel Oléohydraulique, Pneumatique et d'automatisme pour l'industrie / collective industrial organisation of manufacturers and importers of material for industrial oleodynamics, pneumatics and automation) was set up in 1968 by 22 companies, manufacturers and importers, who are active in industrial automation. All members specialise in hydraulic and pneumatic drives, systems, controls and components. Belgitrans is the federation for industrial drive technology. Belgitrans was established in 1979 and brings together companies that are active in electrical engineering and electronic transmission for both power and movement. The members are companies, either manufacturers or importers, that are in business in Belgium with regard to components for mechanical, electric or electronic transmission of power and motion, but also all people who contribute to the expertise of drive technology. The objectives of both associations have now been brought together in the new charter of the brand-new InduMotion not-for-profit organisation. The new board was selected in June during the members' day in Kasteel Gravenhof. 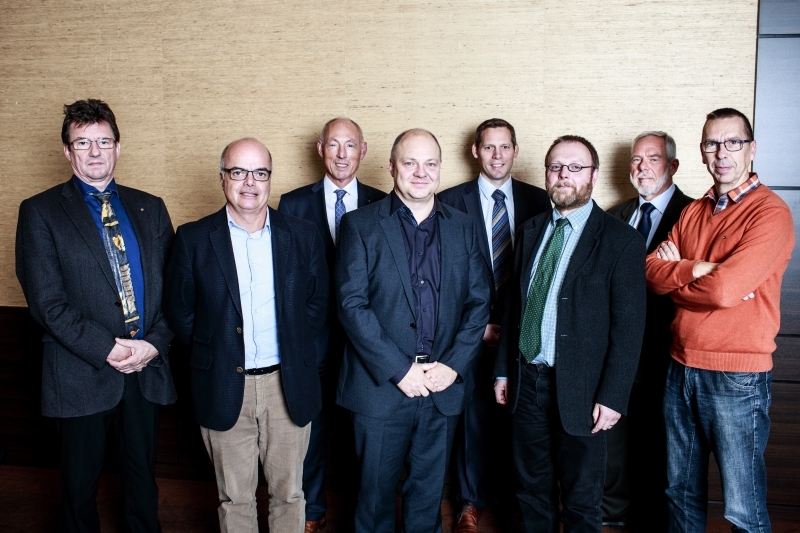 The InduMotion board consists of eight people in total: four members of the board come from Belgitrans and the other four members are form FIMOP. The eight board members elected the president, vice-president, treasurer and secretary-general. The InduMotion board members are in alphabetical order: Secretary-general Marcel De Winter (Service Hydro), treasurer Jeroen Dieusaert (Bosch Rexroth), officer Geert Heyvaert (MGH), president Hugues Maes (SMC Pneumatics), officer Luc Roelandt (GKN Stromag Benelux), vice-president Bart Vanhaverbeke (Voith Turbo), officer Luc Van Hoylandt (Act in Time) and officer Jo Verstraeten (Festo). The mandate of the new board members runs for a period of two years. Geert Heyvaert (Belgitrans) explains why the collaboration is important: "Because of the merger, a larger network has now been created and we are increasing the efficiency of our collective industrial organisation for all members. Our members are active in four technologies: pneumatics (including vacuum technology and compressors), hydraulics, mechanical drives and electrical drives. These technologies have areas of overlap and boundaries are blurring. We have, for example, established that drives are being integrated in conductors and vice versa. In addition, mechatronics is on the rise." Jo Verstraeten (FIMOP) adds: "InduMotion will be the organisation for all manufacturers, importers, and distributors of these technologies, but in addition to these four main groups, we also want to support all companies that are active in combined and related technologies such as automatic control engineering, sensors, control systems that use industrial PCs, PLCs, etc. All of these areas of overlap are the main reasons for us to now combine our strengths." According to Jo Verstraeten, this will also bring the dilemma that companies must choose between FIMOP and Belgitrans to an end. "A few companies were member of both organisations while others were unsure about which organisation they should join. We can now use our resources efficiently because of the merger." "InduMotion is not a commercial company, but the new organisation will continue to be healthy financially because of the member contribution of 950 euros per year, the publication of the Automation Magazine print-version and the website and being the co-organiser of INE and the Indumation trade fair. This revenue must be used appropriately for the benefit of all our members. This is the goal of the board," is the decision that Geer Heyvaert and Jo Verstraeten have taken.